I'm Annick Magac. I love to ride motorcycles. Design + Art are my passions. Connection and deep meaningful conversations bring me joy. Beauty drives me. Annick interviews Victoria at Over and Out Women's Dirt Bike event on dualsport riding, women motorcycle riders, and the Northeast Dualsport Riders meet-ups. Check out Annick's YouTube channel for more interviews. Don't forget to Subscribe while you're there! Available in paperback, digital, & audio! "I worked with Annick to improve my public speaking skills and help grow my business. I wasn’t confident enough to get in front of a camera and speak, but Annick helped me completely change that. She coached me through my fears and taught me to speak with confidence. Annick helped me develop my message and learn how to organize my thoughts, so that I can be clear when I speak and wow my audience! Working with Annick has been invaluable to my business." "Annick is a very well spoken and experienced coach full of life who always looks for the interest of others. She is bold, fearless and fun. I always love listening to the wisdom she shares with us through her speaking." "Annick is authentic, inspiring, motivational, and engaging. Her energy is infectious. She is kind and warm and incredibly knowledgeable on a multitude of topics. Whether you tap her as a coach, engage in an interview with her, or ask her to speak at your event, she will deliver you a fully formed product which includes actionable takeaways. 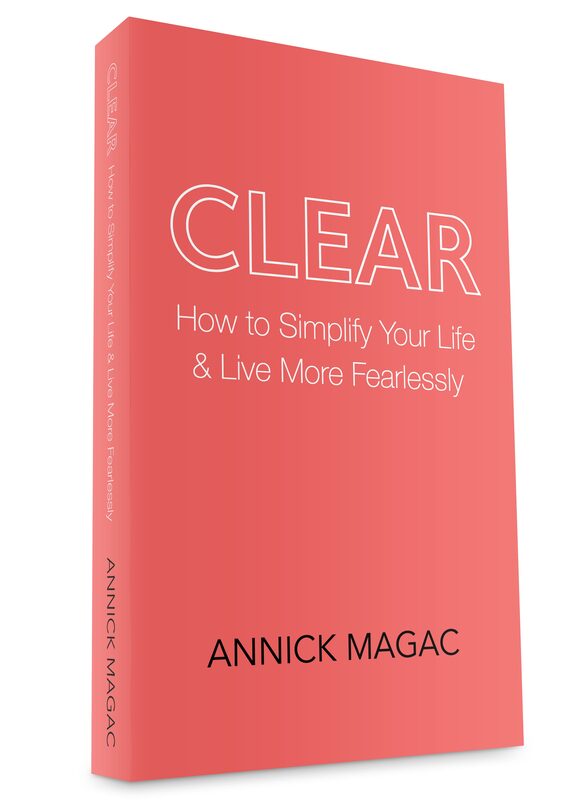 Her book Clear: How to Simplify Your Life and Live Fearlessly is a tome we should all be required to read. How to de-clutter one's life, environment, and mode of thinking is a trending topic and one on which Annick is incredibly well versed. She is a rising star. She is Marie Kondo on a motorcycle." Ready to Get Started? Get In Touch With Annick!